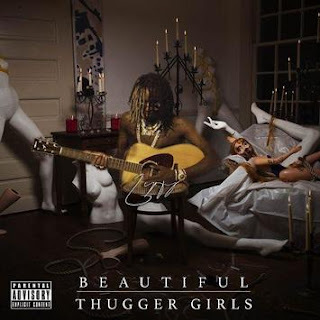 Young Thug is joined by Snoop and Durk on a highlight from "Beautiful Thugger Girls." So this is a collaboration you don't see every day. Atlanta, Chicago, and Long Beach have come together on one track, and it's all thanks to a shared interest. "Get High" is a stoned celebration over some decidedly restrained production from Young Chop, a beatmaker who's more versatile than he gets credit for. It's a familiar subject especially for Snoop, who sounds extremely comfortable next to the young guns on the track, even if his delivery is a considerable throwback next to their auto-tuned wails. If some of the moments on Beautiful Thugger Girls are too left field for you, this should be a good entry point. Listen to the full project here.